Safety glass relates to glass products that maintain the safety features required in various applications. 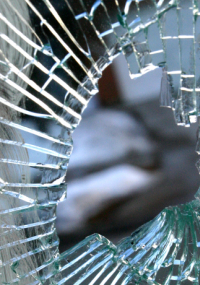 Safety glass is not easily breakable and even if it is broken, it still provides the safety features. The use of this glass is constantly on the rise because of the increasing need for safety and security. Therefore, safety glass products are widely accepted in residential as well as commercial applications. If you are constructing a new house, office or planning to a start renovation, then consider using safety glass products to obtain the best results. We can help you to select the best type of safety glass for your project. Safety glass can be divided into two categories such as tempered or toughened glass and laminated glass. The tempered glass is manufactured by passing the material through extreme temperatures. During the manufacturing process the material is heated and then rapidly cooled. This process results in the glass retaining high compressive stresses. Due to this factor, when a harsh external force is applied like a powerful hammer hit, it shatters. There are no large sharp edges on shattering of the glass; rather you will find the cube shaped or stone-like pieces. Such types of broken pieces reduce cuts in comparison to sharp edges of normal glass. The next variety of safety glass is the laminated variety, which has become extremely popular in recent times. This glass is manufactured by bonding two glass sheets permanently together with an interlayer. This interlayer is strong and flexible and holds both the glass sheets together. Due to this interlayer when this type of glass product breaks due to external pressure, the glass particles do not shatter as it is designed to hold the glass together. The interlayer is so strong that you will only notice cracks and it will not break down into pieces. 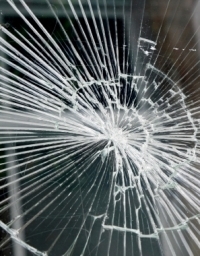 Protection against breakage is not the only benefit of using our laminated safety glass variety. This glass is also effective to provide protection against the harmful ultra violet rays. It allows the sunlight to pass through, but act as a filter to keep the UV ray out. With our wide range of safety glass products, we are sure that you will find a safety glass to suit your specific requirements.